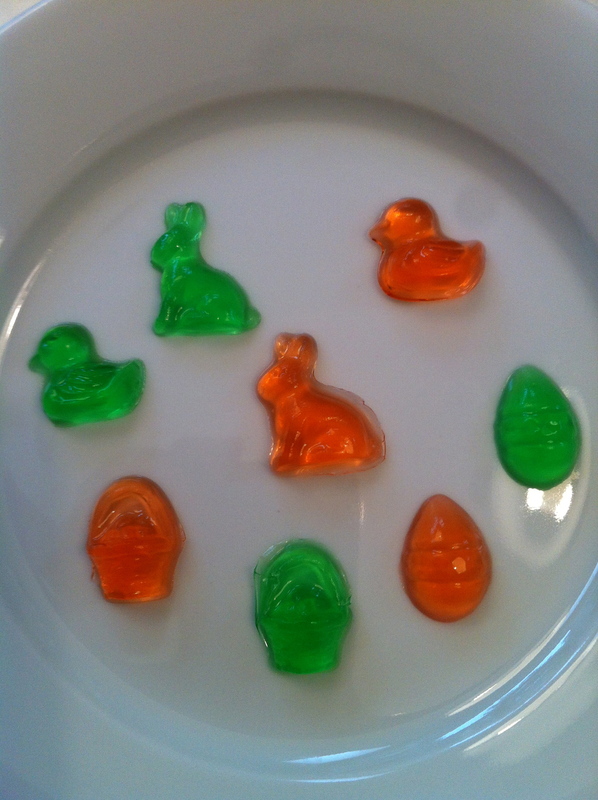 easter gummy treats | what is clara eating today? clara’s preschool class had an easter egg hunt, so i made these gummy treats to fill plastic eggs and later switched them out for her. divide the gelatin in two small bowls (3.5g ea). add the jello mix in each bowl. add 3T boiling water to each bowl and mix well. using a spoon with pouring tip, pour into candy molds. refrigerate until firm. if you don’t have a candy mold available, you can pour into a small container and after refrigerating, cut out into fun shapes using small cookie cutter or simply cut them into thin strips to make gummy worms.